As an experienced and reliable production, service and fixing house, NEEDaFIXER is often approached by independent filmmakers for advice when filming abroad. After all, filming in your own country is testing enough. But when it comes to shooting abroad, further challenges are thrown into the mix. Filming in an area you don’t know very well, as well as communicating in the native language of your shooting location, not to mention paperwork, tax incentives and travel logistics, means that filming abroad can be daunting. Yet shooting in a real-life location makes for powerful filming and is well worth the extra effort. NEEDaFIXER offers film fixing in various locations and is highly experienced at helping filmmakers create an impressive production. However, we often find that, amid the hype, considerations like insurance can fall to the bottom of a filmmaker’s priorities. That’s why our job here at NEEDaFIXER is to help you with all aspects of filming abroad. We help those who have never filmed abroad before, as well as those who have the experience of filming in a foreign location. General liability insurance covers you in case of third-party claims of injury or property damage. It’s important to get yourself and your health insured when filming abroad. After all, there are various risks associated with travelling in unfamiliar locations, such as facing foreign customs, weather conditions, disease, conflict (in some countries) and government rules and legislation. While hiring a film fixer can help with the knowledge of the area and customs associated with your particular filming location, insurance can provide you with medical and financial assistance if a crisis occurs. Worldwide public liability insurance can cover your shoot abroad, protecting you if any issues arise with other people involved with your shoot. Public liability insurance can cover you against any injuries and unforeseen circumstances that may occur as a result of your shoot. Public liability insurance also be used in any country worldwide. Of course, you will need to provide certain information about your shoot as a more in-depth policy with larger premiums may be required for particularly hazardous filming locations or activities. There are limits to the amount of equipment you can take when filming abroad. So it’s wise to protect your filming equipment against theft and purposeful damage. You should also consider insuring hired vehicles from your filming location. NEEDaFIXER can recommend suitable equipment insurance for your film and location. Why not contact us for more information about insurance for your shoot? Although you may not be thinking about the finished result at this stage, it is essential to consider insurance to cover your filmed content in the pre-production stages of your project. We can offer advice about your specific shoot. Workers’ compensation will cover your crew and foreign workers who live locally that you may hire to work on your film. This form of insurance can cover you as an employer if any issues arise with your employees, whether they dispute their working conditions, have an issue with pay or raise an issue with practice. Worker’s compensation is particularly beneficial if your filming is interrupted for any reason. 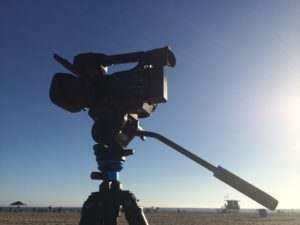 No matter what you are filming, you cannot shoot abroad without production insurance. This will protect you against unforeseen costs associated with cast, crew and film equipment. Cheaper options for insurance are not always the best way to go. In fact, it is much better to do your research in advance and find an insurer that will cover your needs for a reasonable price. Essentially, your insurance needs to be suitable for your shoot and cover you in case things don’t go according to plan. NEEDaFIXER can consult you on the most suitable insurance for your shoot at the most competitive rates, so you can film with peace of mind.